The Chicago Urban League Entrepreneurship Center has a first class faculty of coaches, volunteer subject matter experts, and organizations to provide you with superior counsel for your business. Kevin P. Davenport is the Established Business Program Manager for the Entrepreneurship & Innovation Center at Chicago Urban League. 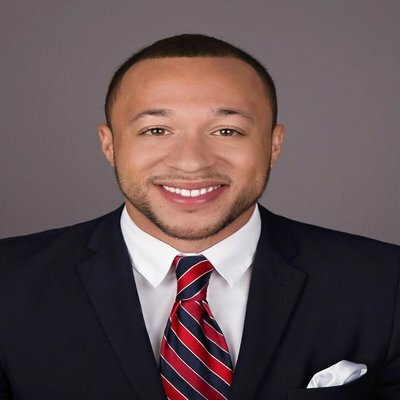 He is also the founder of The Ideal Candidate, a non profit organization and training academy that focuses on corporate integration, personal development, and etiquette training for ages 16-24 year old. James Parker is Entrepreneurship & Innovation Program Manager at Chicago Urban League Center for Entrepreneurship & Innovation. He is also founder of Best Date Night, an app that creates date nights for couples. Representatives from CIBC provide clients with financial coaching and preparing for financing. Franchon Greenfield is the Neighborhood Business Development Program Associate at the Chicago Urban League Entrepreneurship Center. She provides new business owners with startup resources, and provides business owners with business licensing, TIF, and SBIF grant technical assistance. Curtis O. Jones is a proficient business owner with over twenty-five years of experience in construction & Real Estate. He is the Co-founder CEO & COO of two construction firms, Vice President of a property management company, founder & CEO of BCD Group LLC a consulting firm specializing in construction management & real estate development. Hours Available: 1st and 3rd Mondays from 6pm-8pm. Tamara Robbins is a Creative Director with twenty years of combined experience in Advertising, Education and a Freelance Designer. Her expertise is in developing brand identities for corporate companies, not for profit organizations and events. Hours Available: 2nd Wednesdays from 4pm-6pm. Benjamin is a brand strategist helping clients develop clear, cohesive, and consistent communications across their organization. He is the author of GROUNDWORK: The Foundation For an Unshakable Brand. Greg works at Cre8tive Capital where he currently serves as a Strategic Specialist. In this role Greg has the opportunity to express his passion for working with innovators and status quo agitators. Danielle Mitchell is an International Marketing Strategist under her brand Average Black Girl. She has previous experience working with L'Oreal US and Coca-Cola and now has a passion for bringing her experience and knowledge to small businesses owners. Accion Chicago is a non-profit, small business lender. Accion helps communities grow by investing in entrepreneurs who build businesses and generate jobs in their neighborhoods. We provide the tools necessary for individuals to create and expand small business regardless of their backgrounds and other barriers of obtaining credit. 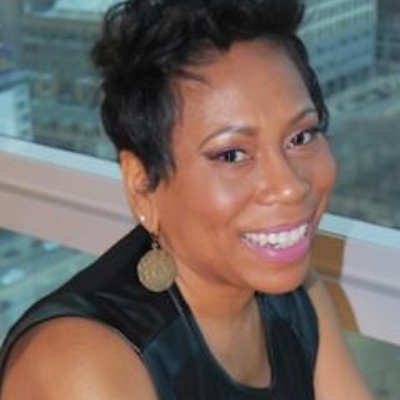 Vena Nelson is CEO of Go Big Accounting Inc. Go Big Accounting Inc. provides small businesses (that most firms ignore) with the financial tools and support to start, grow, and run their business successfully. Our services are geared towards maintenance, sustainability, and growth. Paul Ruiz has over 30 year's as Sales Manager and Buisness owner. He teaches the Ten Steps to the Sale method and has written extensively on how to close more sales. LaToya Moore is principal consultant of Moore & Associates Business Services. She is also a Finance Manager for Coty Inc where she manages a $170 million portfolio consisting of Cover Girl, Sally Hansen, Rimmel, Clariol, and an array of Mass Fragances. LaToya has over 14 years of accounting and finance experience. Hours Available: Monday- Friday 4pm-8pm and Saturdays from 9am-1pm. Ernie enjoys working with small businesses to develop opportunities and overcome barriers to growth. He has a background in international trade and has founded and managed both for-profit and non-profit businesses. Hours Available: Available for Phone sessions or via Zoom ONLY until after March 5, 2019. Please leave phone number in comments, with a brief description on how I can be assistance to your business needs. Emily is founder and principal at Ardent Law, a full-service litigation boutique focused on representing and defending small to mid-size companies. Emily thrives on helping clients thoughtfully and efficiently solve issues so that they can get back to doing what they do best. Pat E. Perkins, MS, PMP, CPCC is an award winning Certified Life, Career & Business Strategist. With over 20 years in Corporate America and over 10 years as The Career Advancement Mentor, she brings a wealth of practical global experience to her coaching engagements and has a proven track record of achieving breakthrough results for her clients. James Threatte is a Chicago native with an extensive background in operating successful healthcare and software businesses. He is available to coach healthcare or other service businesses and can provide guidance to cut costs and increase revenue to make any business more profitable. Hours Available: Initial consultations by phone ONLY on Wednesdays 4pm-6pm. In-person appointments will be made after 1st initial phone call. Melissa is an experienced consultant and licensed CPA. She has advised Fortune 500 companies, private companies and non-profit organizations and enjoys helping clients develop solutions to make their ideas come to life. Melissa can help you think about your business from strategic,operational and financial perspectives. CASE helps local, highly-qualified, small and medium-sized businesses CONNECT with Chicago’s most prominent universities, health systems, private corporations and public agencies, to supply the products and services they need. These connections support the vitality of Chicago’s neighborhoods and promote inclusive economic growth.